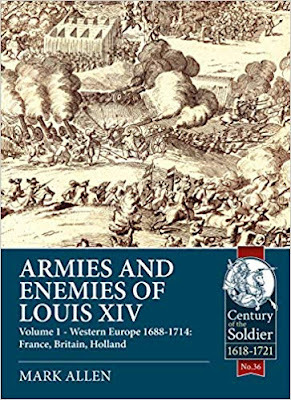 I’m sure readers will be aware that the core of this book is a large series of magazine articles written by Mark some 30 odd years ago when he was barely out of short trousers, covering the armies and uniforms of late 17th and early 18th century Europe. This first volume focuses on France, England and the Dutch. 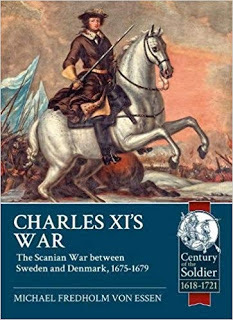 The original material has been updated and the end result is a glorious feast of over 40 pages crammed full of colour drawings of flags and uniforms of the armies in question. In addition to the uniform plates there are sections on the organisation, commanders, and general uniform info for every unit covered in the book for each of the armies. 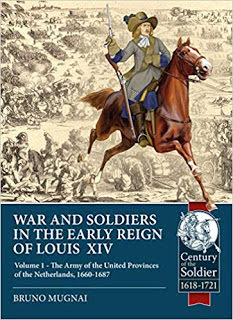 Not everything could be included in one volume so English and French horse and French dragoon’s will be covered in a later publication, and I look forward to getting a copy. Definitely a ‘must have’ book, even if you have kept all your old magazines from way back to the year dot. I haven’t so thanks to Helion and Mark for their work on this splendid, well written, researched and presented gem. Coming soon from Helion we also have these two books to tempt us. Due out Easter'ish I am reliably informed, which by lucky coincidence is also around my birthday! I am looking forward to seeing this... even though I have the magazine articles somewhere. The other two books look very interesting.